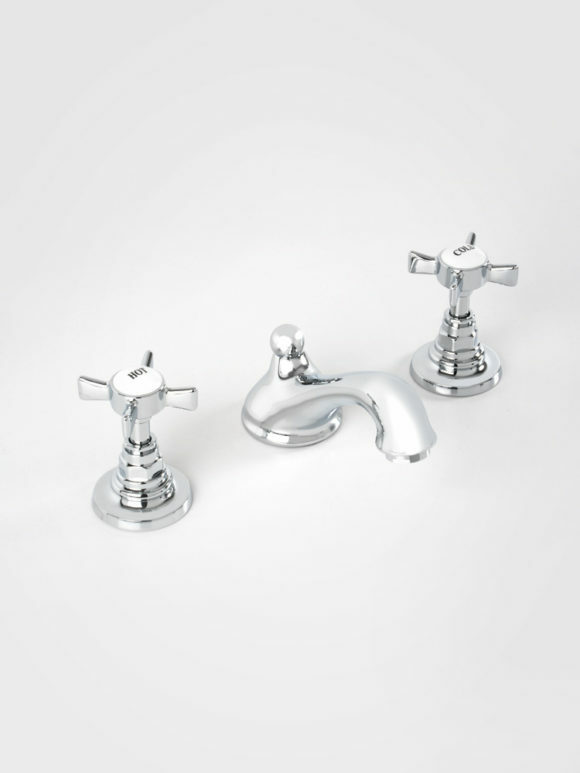 Britannia three hole basin mixer with pop-up waste and quarter-turn Traditional tap heads. 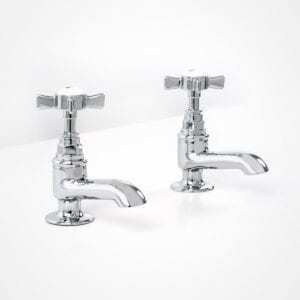 Fitted with 6 litre per minute aerator. 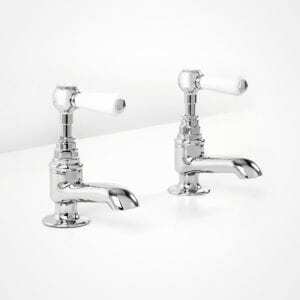 The Britannia 3 hole basin mixer is available with Traditional tap heads, Art Deco tap heads or white or black levers. Prices may vary according to handle type. Supplied with a pop-up waste. 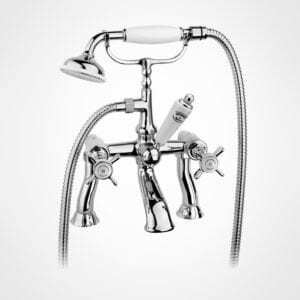 Should this mixer be installed with a drop-in or underslung basin, an extended waste rod may be required. Please ensure to notify Victorian Bathrooms in this event. 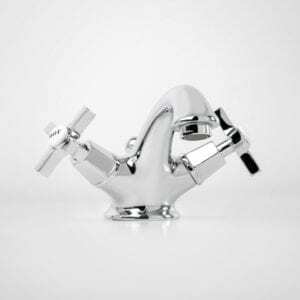 This product requires, and does not include, angle valves and flexi hoses.